The two brothers named as suspects in the Brussels terrorist attacks, Khalid and Brahim El Bakraoui, may have known Salah Abdeslam, the alleged Paris attacker who was arrested in a suburb of the Belgian capital last week. 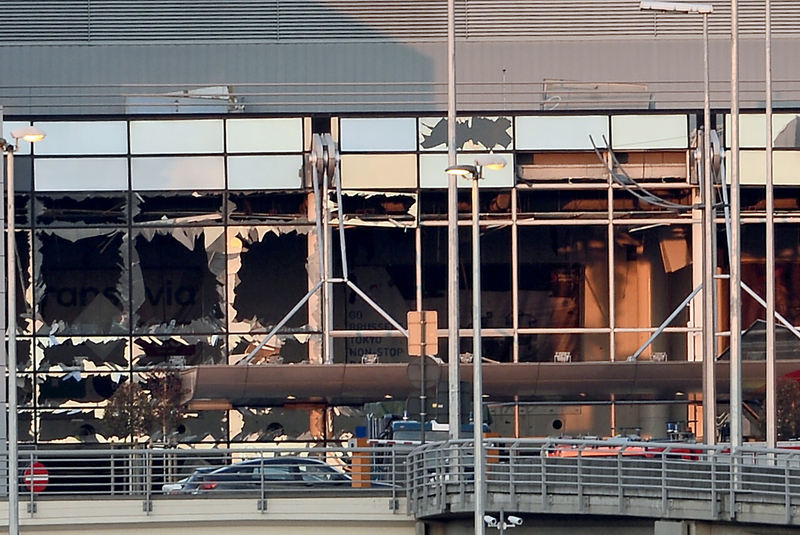 The brothers have been identified as the two suicide bombers at the airport, although there are conflicting reports. BBC News reported one brother carried out the metro attack. At least 31 people died in the attacks Tuesday. The brothers were caught on a security camera at the airport before the blast with a third suspect who is currently on the run, Najim Laachraoui. But even before the attack, at least one of the brothers was being sought by police for terrorist activities, according to BBC News. Using a false name, Khalid rented an apartment in a Brussels suburb that was raided by police last week; a shootout occurred and a suspect was killed. Salah Abdeslam's fingerprint was found in that same apartment, and police were eventually able to capture Abdeslam on Friday in what seemed to be a big win for the authorities. The other connection between the El Bakraoui brothers and Abdeslam is the third man caught by the security footage, Laachraoui. He is connected to Abdeslam and the Paris terrorist attacks in November. He had been sought by police since Monday for being a known acquaintance of Abdeslam. Plus, his DNA was found on the suicide belts used in the Paris attack, as well as in the apartment where they were made. Due to the DNA, Laachraoui is thought to be the bomb maker in the Paris attacks. He traveled to Syria in 2013 but by September of last year he was back in Europe. He and Abdeslam went through a border checkpoint between between Hungary and Austria using fake identification cards. Khalid renting the apartment and the security camera footage with Laachraoui ties the El Bakraoui to Abdeslam — at least to some degree. Laachraoui's involvement makes it clear that the same ISIS cell is behind both attacks, even if not all the players are the same. In addition to the at least 11 killed at the airport, upwards of 20 died when a bomb went off in the Brussels' metro system. ISIS has claimed responsibility for both attacks which also injured about 250 people. Laachraoui is not the only lead. The investigation continued overnight leading to a Brussels house where a bomb, Islamic State flag, and bomb making materials were found.